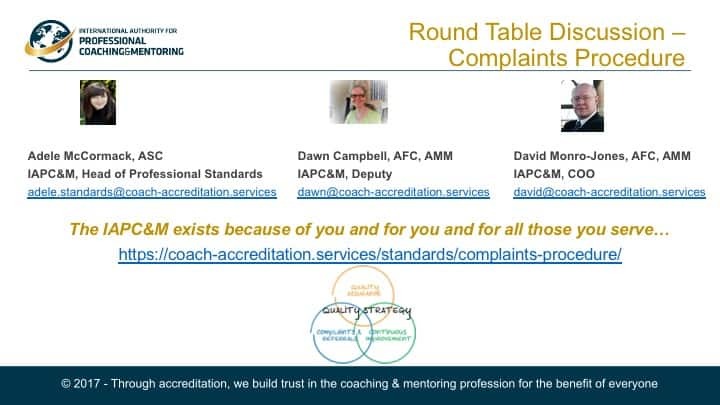 If you have a complaint about one of our accredited service providers (coaches, mentors, or training providers) then we request that you officially log your complaint with your service provider and follow their procedure in the first instance. If you are not satisfied with the outcome of that complaint, then you can escalate your complaint to us. Copies of all correspondence related to the complaint made between you and the service provider. Your permission to contact the service provider and discuss any information that you have supplied. We aim to respond to complaints within 20 working days. If we can’t reply to you within this timeframe, we will let you know and tell you when you can expect a reply. If you have been unable to resolve your complaint directly with the service provider after following their complaints procedure in full, you may make a complaint to us within 28 days from the date of the completion of their investigation. When we receive your complaint, you will be allocated a named complaint officer who will be co-ordinating your complaint. It is your complaint officer who will call together a complaints panel. As a member organisation, staffed by volunteer coaches and mentors, all of which are accredited by the International Authority for Professional Coaching & Mentoring, it is possible that your case may be about people we know, or service providers we have trained with. In the interests of upholding public trust and confidence, we operate in a transparent way that ensures that any conflicts of interest are declared, and managed appropriately. To mitigate conflicts of interest, each complaint will be heard by a panel of three people, formed by different categories of members. The complaints panels will be managed by the Head of Professional Standards. In the event where the Head of Professional Standards declares a conflict of interest, the panel will be led by another member of the leadership team. You have 28 days to lodge an appeal against the decision from the International Authority for Professional Coaching & Mentoring investigation. Your appeal will be heard by an appeals panel, independent to the investigation within 20 working days. In the event of an appeal against a complaints decision, a fresh panel of three volunteers will be formed to deal with the complaint. Where we are unable to secure appropriate panel members, we will use lay members. If you have a complaint specifically about the International Authority for Professional Coaching & Mentoring as an organisation or any members of our team, or if you are unsatisfied with how your complaint has been handled, we encourage you to submit a complaint directly to us according to the above process. As an accredited member of the International Authority for Professional Coaching & Mentoring, delivering services as a coach, mentor, training provider or organisation, you are responsible for raising the standards of the profession. Therefore, it is of paramount importance that you deliver excellent levels of customer care, and are fully compliant with the International Authority for Professional Coaching & Mentoring’s Code of Professional Conduct. Whether there have been previous complaints received against the respondent for the same, similar or other clause(s). Where the complaint is upheld by the complaints panel, the complainant and respondent will be offered the opportunity to agree a mutual resolution through facilitated discussion. Where a mutual resolution can be achieved, the complaint will remain on file until such time as all agreed actions are completed. The complaint will be removed from file after 12 months. Where the complaint is upheld by the complaints panel, yet no mutual resolution is agreed, the respondent will be issued with a performance notice. The respondent will then be required to meet with the Head of Professional Standards within 10 days to agree a Recovery Action Plan that details actions they need to take to ensure full compliance with the Code of Professional Conduct, and provide assurances to the International Authority for Professional Coaching & Mentoring of improved standards. The action plan will be submitted to the complaints panel for their endorsement and the respondent will then have 90 days to implement the actions. 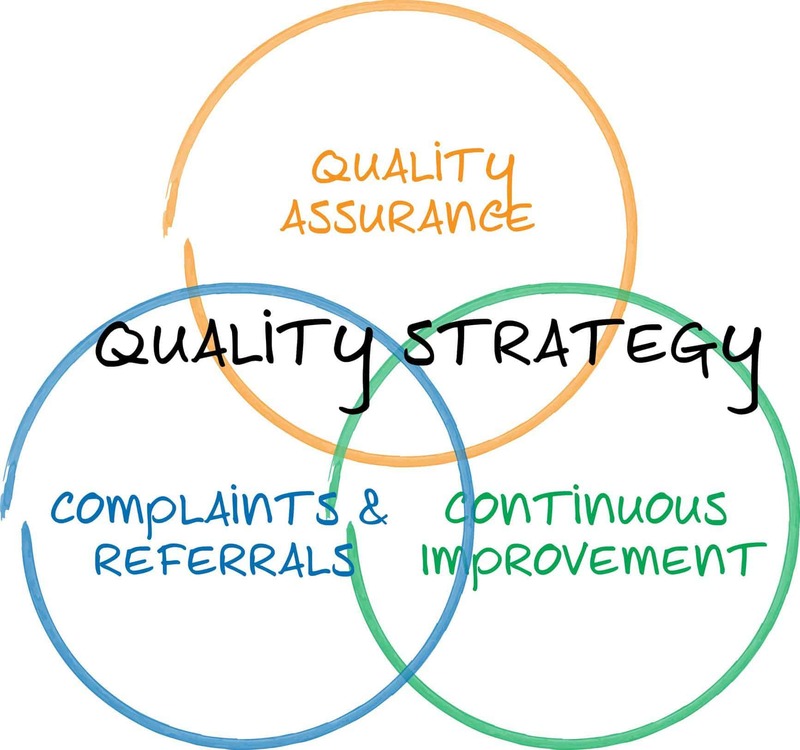 Failure to meet any of these requirements may result in the termination of accreditation and membership of the International Authority for Professional Coaching & Mentoring. All complaints that require a performance notice and Recovery Action Plan will remain on the providers file for 2 years. Any service provider whose accreditation and membership is terminated through the outcome of a complaints procedure will not be eligible to reapply for membership for a period of 2 years. If the complaint is rejected, the case file will be closed, pending an appeal and no further actions will be required by the respondent. The International Authority for Professional Coaching & Mentoring does not accept any responsibility for expenses related to, or incurred by the complainant, service provider or associated individuals for any complaint registered, or progressed through the International Authority for Professional Coaching & Mentoring’s complaints procedure.